A simple procedure to become a member of the ICI-Sailing Club. Weekly rate: 100 € for the whole week. 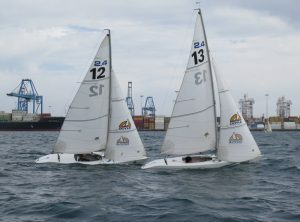 The ICI-Sailing Club is an international club for integrated sailing, based in Las Palmas, Gran Canaria. It’s boats are available for sailors of both genres, of all ages and independent of their physical abilities, able bodied or with disabilities. ICI-Sailing Club promotes good and and friendly spirited sailing in a good seaman way, which implies also respecting on the water the ISAF Sailing Rules. 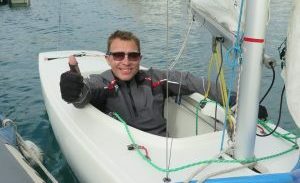 By becoming a member of the ICI-Sailing Club the member agrees with the objectives of the ICI-Sailing Club which the member also engages to promote. The other requirements are listed on this page. Filling in the membership request form a sailor can become an active member of the ICI-Sailing Club. It implies accepting the boat hiring and usage rules and paying the fees. The members will be issued an ICI-S membership card which is required when registering at the Real Club for entering the Club and for obtaining the Real Club pass.